Total sales volume on Tmall.com and Taobao.com. From ¥3.77 billion in 2016 it increased by 28% to ¥4.82 billion in 2017. 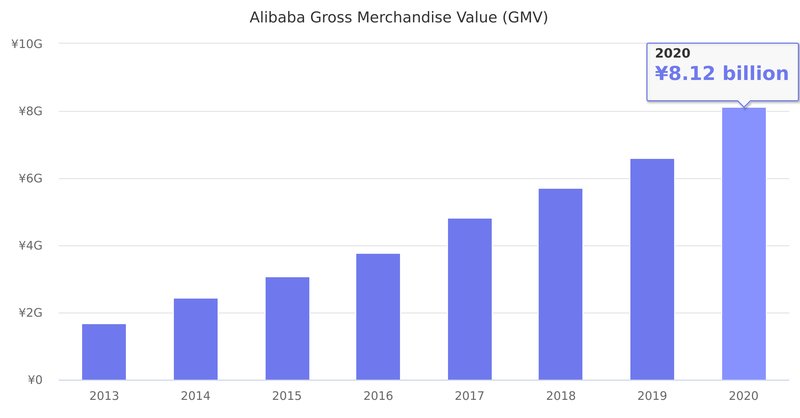 Source: Alibaba Quarterly Results. Local currency used, not US$.